Through previous editions, Peter O’Neil has made rigorous engineering mathematics topics accessible to thousands of students by emphasizing visuals, numerous examples, and interesting mathematical models. 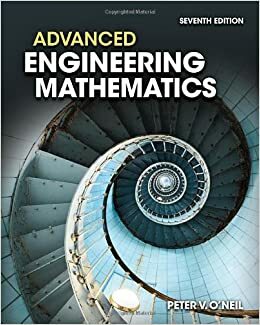 Now, ADVANCED ENGINEERING MATHEMATICS features revised examples and problems as well as newly added content that has been fine-tuned throughout to improve the clear flow of ideas. The computer plays a more prominent role than ever in generating computer graphics used to display concepts and problem sets. In this new edition, computational assistance in the form of a self contained Maple Primer has been included to encourage students to make use of such computational tools. The content has been reorganized into six parts and covers a wide spectrum of topics including Ordinary Differential Equations, Vectors and Linear Algebra, Systems of Differential Equations and Qualitative Methods, Vector Analysis, Fourier Analysis, Orthogonal Expansions, and Wavelets, and much more.